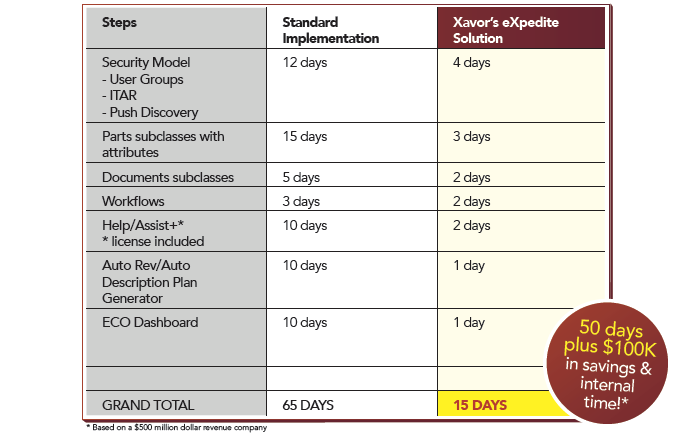 With Xavor’s eXpedite Solution, it saves on average 50 days* of implementation time versus a standard implementation time. 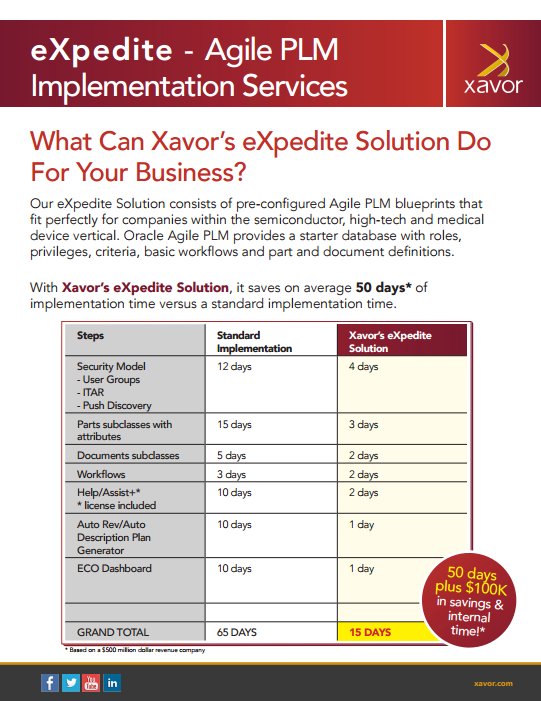 Our eXpedite Solution consists of pre-configured Agile PLM blueprints that fit perfectly for companies within the semiconductor, high-tech and medical device vertical. Oracle Agile PLM provides a starter database with roles, privileges, criteria, basic workflows and part and document definitions.